Berlinica Publishing LLC, 9781935902102, 102pp. 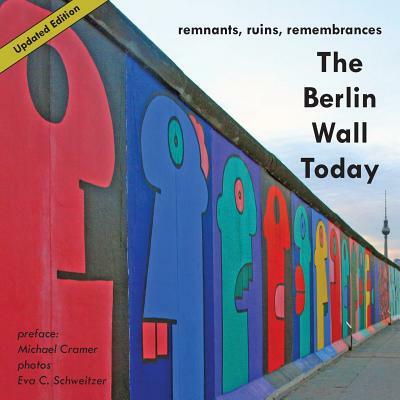 A tour of the last traces and fading memories of the Berlin Wall, this book takes the reader to memorials, parks, backyards, train tracks, factories, churches, and Prussian cemeteries. There are stories of struggle, desperation, survival, rebirth, and a history that shaped the post-war world. Also depicted are the people of Berlin as they are reclaiming and memorializing the ground where the Wall once stood: Mauer Park, where young people from all over world gather to party; a guard tower that is now the Museum of Forbidden Art; the Topography of Terror Museum, which includes the former Gestapo headquarters; and landmarks such as the Reichstag, the East Side Gallery, and Checkpoint Charlie. This updated version includes additional information and new photographs. Michael Cramer is a member of the European Parliament who acts as speaker for the Green Party in the committee on transport and tourism. He lives in Berlin. Eva C. Schweitzer is the founder and owner of Berlinica, a New York-based publisher devoted to all things Berlin for Americans. She is the author of "Manhattan Moments" and the photographer of "Wings of Desire." She lives in New York City.